Bang & Olufsen have always felt like a dark horse in the headphone world. The company makes excellent stuff, but we've always associated the Danish audio wizards with speakers, first and foremost. 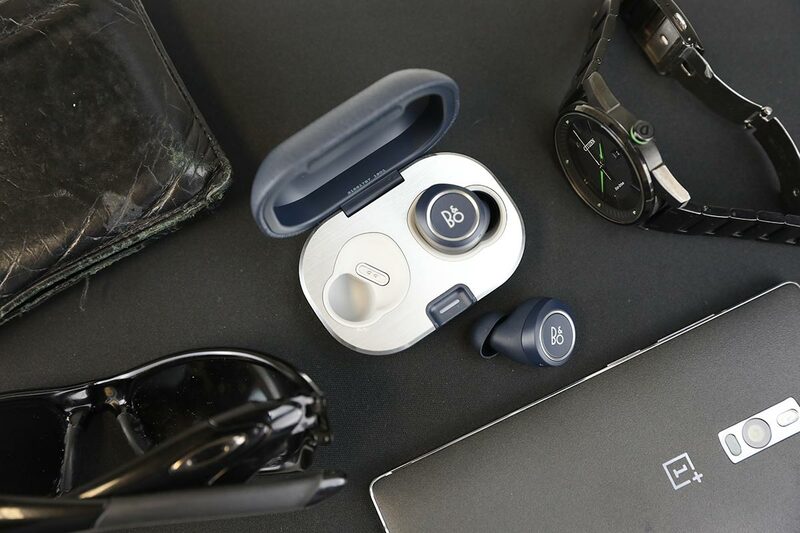 With the E8 2.0 true wireless earbuds, however, that may change. 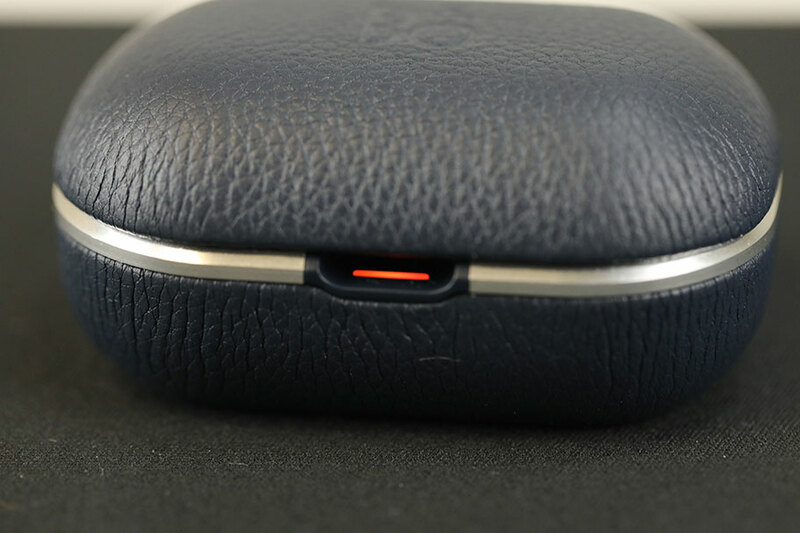 In this review, we break down the Beoplay E8 2.0s' sound, design, comfort and fit, packaging and accessories, specs and more. To see how they stack up, check out our list of the best earbuds. Bang & Olufsen have a reputation for good sound, thanks to their obsession with tuning and development. It's hardly surprising that the Beoplay E8 2.0 sound damn good. While they certainly have their faults – and we'll go into them in a little more detail below – the overall audio quality is excellent. The true wireless earbuds may cost $350, at the time of writing, making them among the most expensive options available, but you certainly get what you pay for. You'll notice the quality most in the high-end and the upper mids. The Beoplay E8 2.0 walk an incredibly fine line between rich, tonal shine and balanced neutrality. With elements like violins, female vocals, and snare drums, we got a real sense of richness while being able to appreciate the detail of each element. Listening to genres like folk, indie rock, and classical was quite enjoyable; the buds had enough energy and liveliness to present the music in the best possible light, without ever sacrificing clarity. We had mixed results with other genres, of which more in a moment. Right now, we believe the best-sounding true wireless earbuds are the Sennheiser Momentum True Wireless, which cost $300 to the Beoplay E8 2.0s' $350. We still think the Sennheisers beat the Bang & Olufsens on pure sound quality, but it's a very close race. 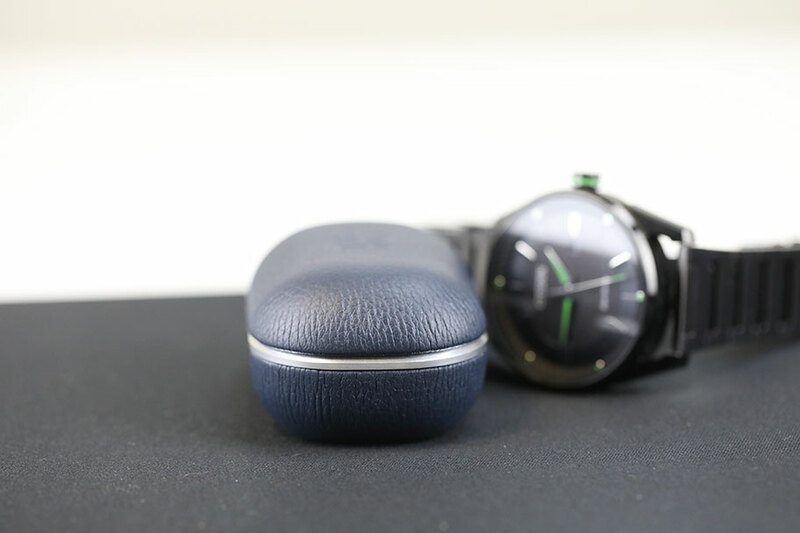 We'll talk a bit more about how the two models compare below, but you certainly won't be disappointed if you pay the extra $50 for the Beoplay E8 2.0. They have plenty to recommend them, and we had a lot of fun with the sound quality. If you're a bass head, and enjoy genres like hip-hop and EDM, we recommend you steer clear of these headphones. There have been definite design choices made here, focusing on detail and extension in the upper parts of the sound. Sadly, that's come at a cost to the bass. We do need to stress that the low end is passable – it's present and correct, with good detail - but it sits in the background, playing a supporting role. In the ranks of earbuds, both true wireless and wired, the Beoplay E8 2.0 clearly considers itself above such frivolity. We think that's kind of a shame. There are clearly some quality components in play here, and we would have like to have seen a little more balance. The recessed bass does make the Beoplay E8 2.0 occasionally seem a bit buttoned-up and obsessed with detail and precision. If you want a pair of true wireless earbuds that revel in enjoyable sound quality and bass, try the outstanding Jabra Elite Active 65t (full review here). At the moment, we consider those the best earbuds available, especially considering their more affordable price, at $190. That being said, while it's a problem, it's not a huge one. The earbuds are still both satisfying and enjoyable. Despite their slightly corporate, stiff-upper-lip feel, they definitely deliver the level of quality we'd expect for the $350 price tag. And if we're comparing bass, they knock less expensive options like the Apple Airpods (full review here) into next week. The soundstage of the Beoplay E8 2.0s is right up there with the best. While these don't have the huge, open soundscape of high-end in-ears like the AUDEZE LCDi4s, they perform exceptionally well for the price. We got the impression that there was tangible space between each element of the songs we listened to. We didn't experience the boxed-in quality that lesser earbuds offer, where it feels like the music is coming from the center of your brain. Instead, the music felt wide and dynamic. The Beoplay E8 2.0s have touchpads on the outside of each bud that control their features. Tapping once on the left control activates what is known as Transparency Mode. This allows you to hear the world around you, picked up and amplified by microphones in the earbuds' housings. We've seen this before in several other wireless headphones, including the excellent Sony WH-1000XM3s (full review here). Those happen to be full-size, noise-canceling headphones, so it's great to see this technology trickling down into the earbud market. In the Beoplay E8 2.0, this feature worked well. It did take longer then we would have liked – often there was a full second of delay between tapping the control and the feature activating - and it also didn't pause the music we were playing, which we found annoying. 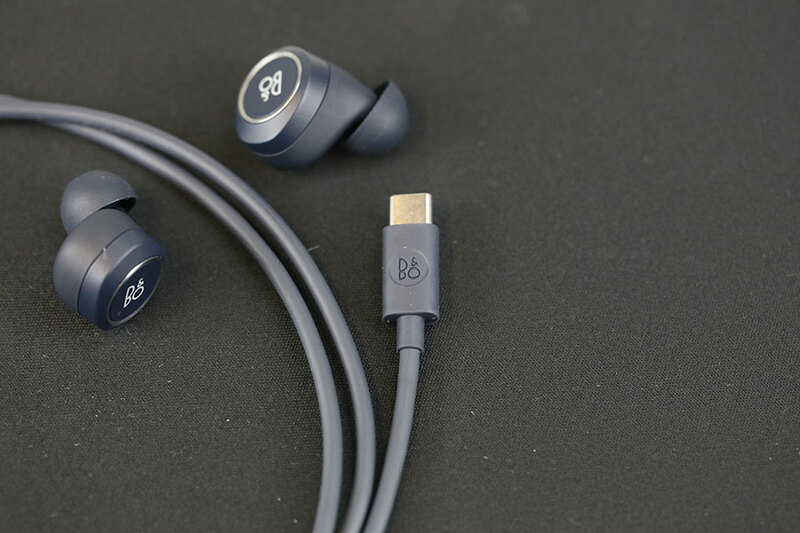 Besides these issues, the microphones embedded in the Beoplay E8 2.0s did well, giving us a good, if ever-so-slightly-distorted, picture of the outside world. We also found the call quality of the Beoplay E8 2.0s good. We still think the ultimate earbuds for call quality are the Apple Airpods (full review here) – our chief financial officer J.P., who spends more time on the phone than just about any other human being we've met, swears by them. But the Beoplay E8 2.0s hold up well, and we had no problem picking up the voices of those we spoke to. The mic was good enough that they could hear us just fine, too. One thing we were slightly surprised to see is that the Beoplay E8 2.0s only use Bluetooth 4.2. Compared to several other true wireless earbuds, that's not a very high level of Bluetooth. We live in a world where Bluetooth 5.0 and aptX are becoming more common. 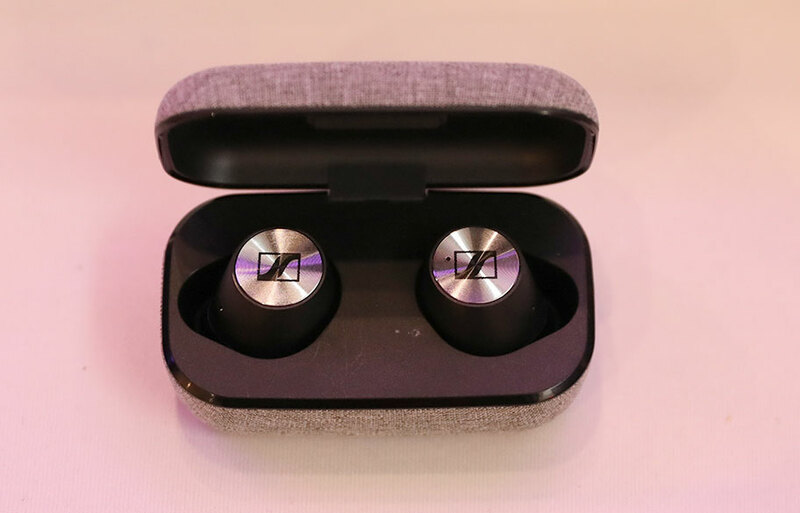 Several leading true wireless earbuds incorporate them already; the Sennheiser Momentum True Wireless, for example, use 5.0, as do the aforementioned Jabra earbuds. The Sennheisers also use aptX transmission - read more about what that is here, as well as how the different types of Bluetooth work. It really doesn't make sense to us that the Beoplay E8 2.0s use 4.2, and perhaps this is why the less-expensive Sennheisers manage to sound a bit better. The most important recommendation we have for the inevitable E8 3.0s is to improve the Bluetooth. As good as the Beoplay E8 2.0 sound, we were little surprised to find that the overall design was a bit meh. They look nice enough, with curvy housing and silver ring accents, surrounding a prominent Bang & Olufsen logo. But we just couldn't fall in love with the design. It felt undistinguished and unimaginative, without anything to truly separate it from the pack. 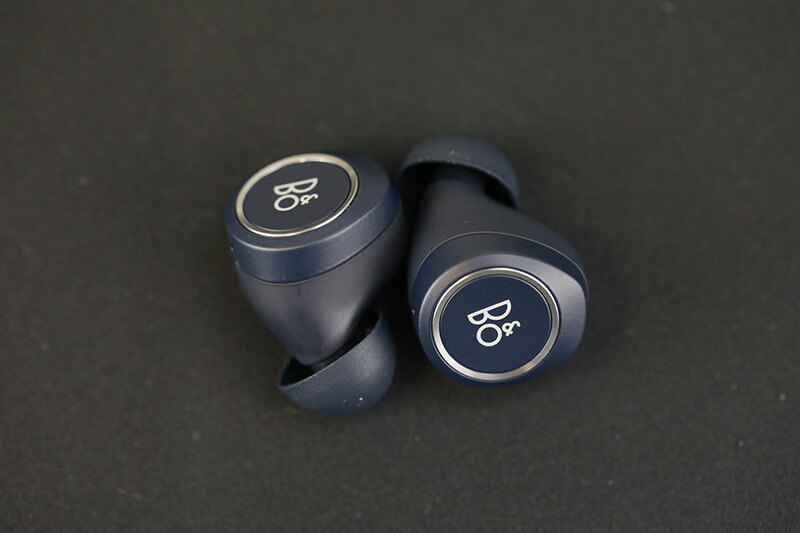 Put it this way: when you find yourself considering the Beoplay E8 2.0s side-by-side with a pair of $200 Bose Soundsport Free earbuds, preferring the look and feel of the Bose, something has gone horribly wrong somewhere. It's even more egregious when you consider the company's over-ear models, like the Beoplay H9i, which are stylish and classy, with great looks and build quality. We can't say the same for the build quality of the Beoplay E8 2.0s. Despite the price, the earbuds feel cheap and insubstantial in the hand. And, although we didn't try and break them, because we're not morons, we had doubts about their ability to survive a serious impact. One positive aspect of the design worth noting is their size. They are a little smaller and less bulky than other true wireless earbuds, including the Jabra Elite Active 65t. They didn't stick out quite as much when inserted into the ear, and were light enough – around 02.5oz each – to alleviate any significant comfort problems. It's worth noting that, unlike the Jabras, the Beoplay E8 2.0s aren't waterproof - not even a little bit. Do not take these to the gym. The Jabra Elite Active 65t earbuds are rated IP56 for waterproofing, meaning they can withstand being sprayed with water, and are resistant to dust. 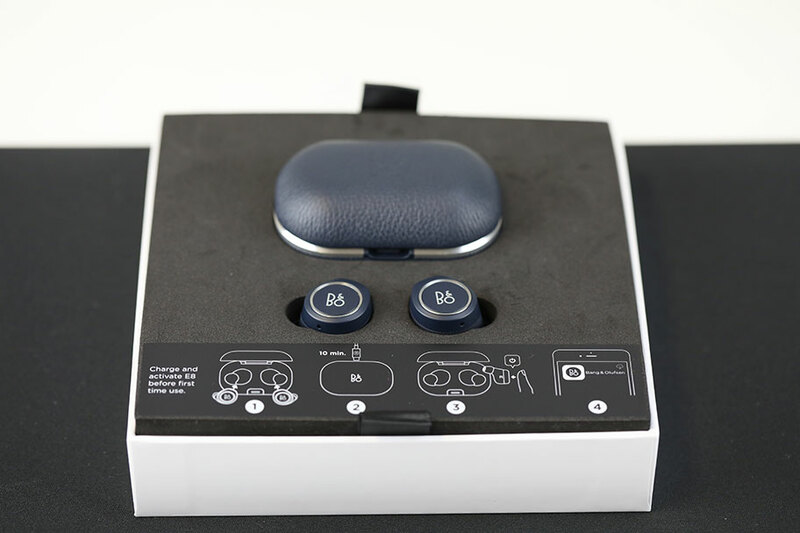 The Beoplay E8 2.0s don't even have an IP rating. That's not a negative, per se; these are clearly designed to be used in water- and dust-free environments. But it's worth bearing in mind. 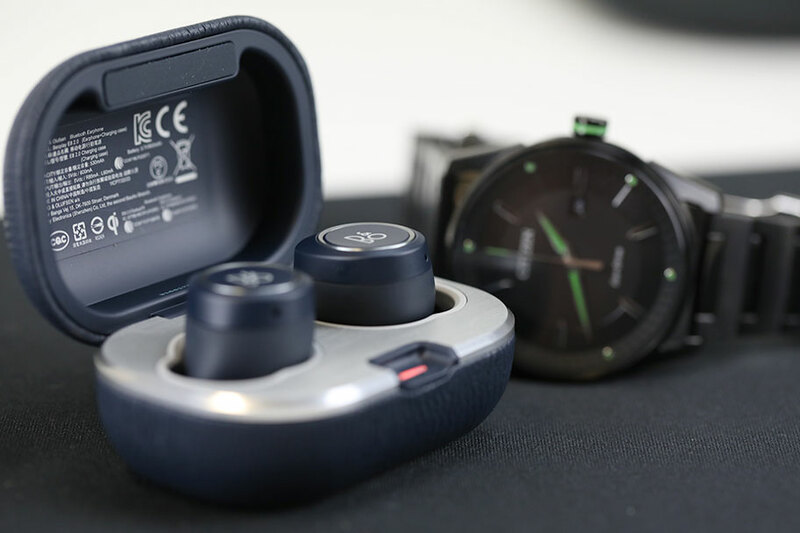 Once again, we'll compare the Beoplay E8 2.0 to the Sennheiser Momentum True Wireless. Those earbuds have touch controls as well, and are the worst touch controls we've ever experienced. We've now tried the earbuds multiple times, and each time, we found it almost impossible to get them to do what we want. Sennheiser are known for making quality audio equipment, and the Momentums do sound superb, but the wonky touch controls made us want to start swearing. Loudly. You control the Beoplay E8 2.0s in a similar way, and it's just not very good. The touch controls feels insensitive and slow to respond, and the actual functions are laid out in a pretty strange way. For example, you tap once on the right earbud to play and pause a track, twice to skip a track…but if you want to go back a track, you need to tap twice on the left ear bud. What – could the earbuds not cope with being tapped on three times? No, wait, you can do that – it's needed to trigger activation for your phone's voice assistant. See what we mean? Physical controls would have been so much better. It's not like high-end true wireless earbuds are strangers to these. Just look at the Master & Dynamic MW07s (full review here) - $50 less than the Beoplay E8 2.0s, at $300. Those earbuds use physical controls, which work exceptionally well. It's the kind of design ethos we would have loved to see Bang & Olufsen actually adopt. In addition to simple charging, the battery life of the Beoplay E8 2.0s is good. It takes two hours to fully charge the case via the USB-C charging port, storing roughly 16 hours of battery life. The buds themselves can play for four hours at a time before needing to be charged, and we found these figures to be spot on. It's not always a given that manufacturers will be completely accurate with their battery specs – they'll often perform lab tests at less-than-sufficient volume, increasing the perceived battery life. That clearly didn't happen here. This model has almost double the power of the original Beoplay E8 (now discontinued), making these earbuds a significant leap in quality. There is an app available for the Beoplay E8 2.0s. The B&O app is well-designed and clean, with a range of easily-understandable features. It allows you to add products, stream music from services like Spotify directly through the app, select various audio presets, and even customise Transparency Mode. However, you have to make sure that you download the right app. Despite the fact that the Beoplay E8 2.0s are part of the Beoplay line, you won't actually be using the Beoplay app – you'll be using the app named Bang & Olufsen. It's a slightly confusing state of affairs, but fortunately you don't need to use an app in order to get the best out of these earbuds. You don't even need to use an app for setup - the earbuds can be paired with a smartphone using just the touch controls. 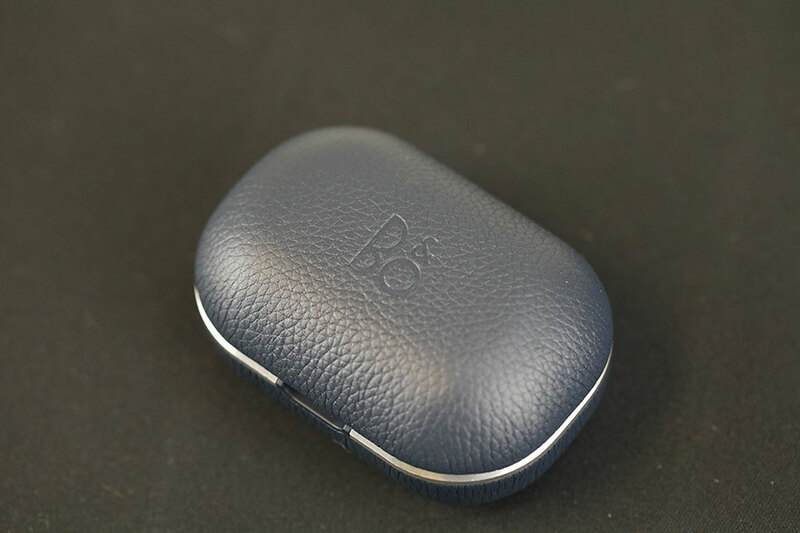 Thanks to their relatively small size and compact build, we found that we didn't have any issue getting a good fit with the Beoplay E8 2.0s. There are multiple tips available, from large to extra-small, and there's even a pair of Complyfoam tips included. Changing these out is as simple as it gets, and we quickly found a size that worked. 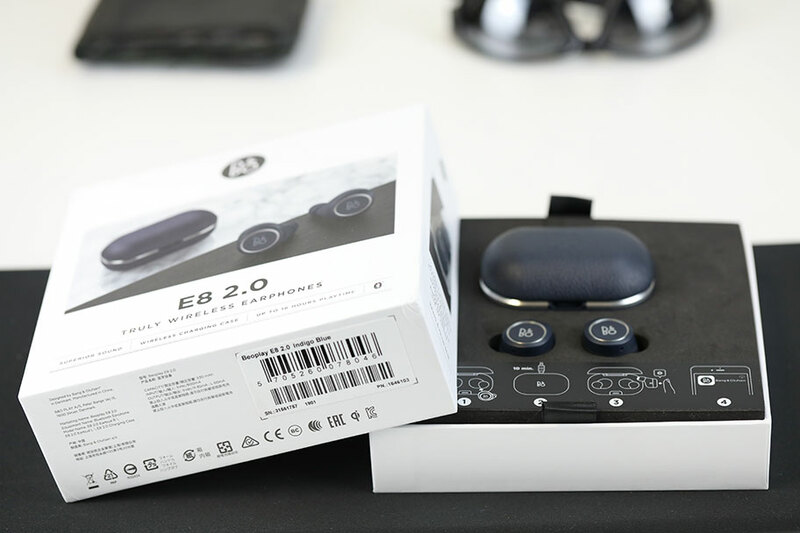 It also helped that the Beoplay E8 2.0s delivered solid isolation, blocking out the outside world effectively. This not only boosted the sound quality, sharpening it further, but was surprisingly comfortable. Because of this, we had no problems with wearing the Beoplay E8 2.0s for several hours at a time, easily the length of a couple of charges. Beyond the case and tips, the accessories are minimal. There's a single, short USB-C charging cable, and a quick start guide. Nothing we didn't expect to see. The Bang & Olufsen Beoplay E8 2.0s have superb sound quality, particularly in the highs and upper mids, which are well detailed. The Beoplay E8 2.0s deliver excellent battery life, with 16 hours of total listening time. Call quality and transparency mode work exceptionally well. The Beoplay E8 2.0s' design is uninspired, and the build quality doesn't feel premium. The touch controls on the Beoplay E8 2.0s work, but feel tricky and unintuitive. It's crazy to us that there's no Bluetooth 5.0 or aptX compatibility. The Sennheiser Momentum True Wireless are arguably the biggest competitor for the Bang & Olufsen Beoplay E8 2.0s. However, we can't recommend that you choose them over the B&Os. 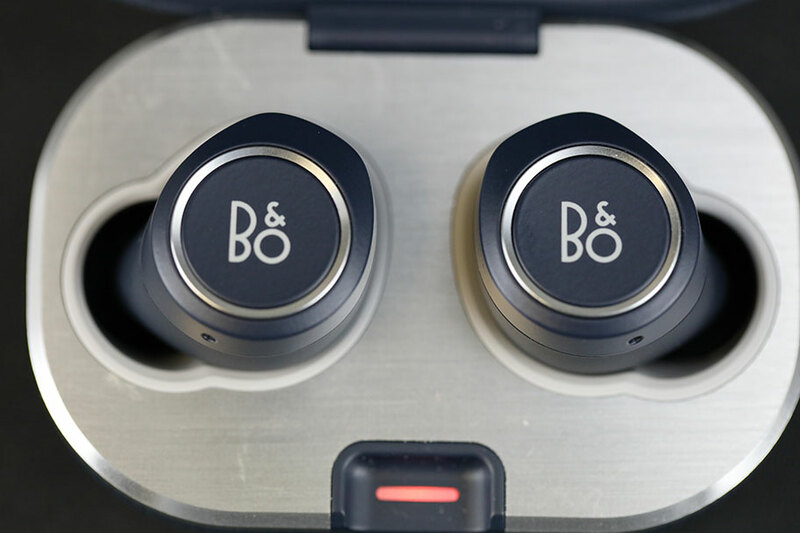 They may sound slightly better, and be a touch more affordable - $300 versus $350 for the Beoplay E8 2.0s – but they have a significant downside. They are cursed with horrible touch controls that we couldn't work properly, no matter how hard we tried, over multiple listening sessions. If Sennheiser can fix these controls, they'll have a winner. Until then, the Beoplay E8 2.0s are the obvious choice. 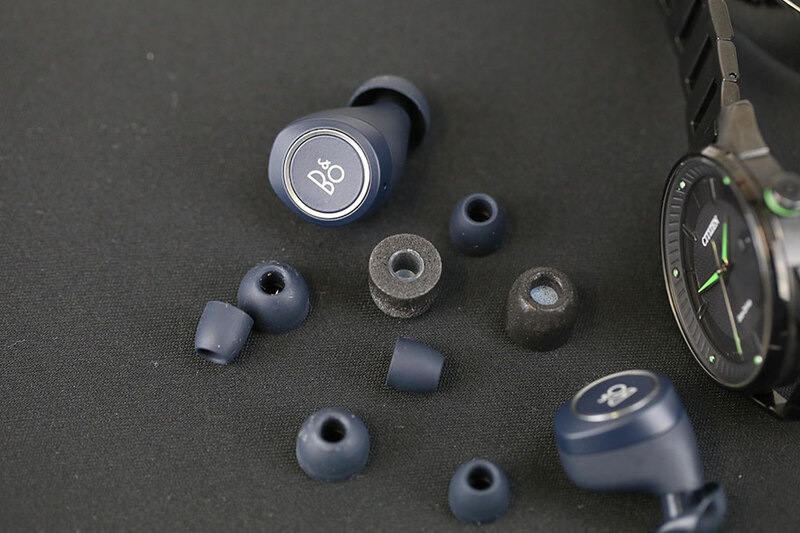 If you're looking for a pair of true wireless earbuds to take to the gym, we wouldn't recommend the Beoplay E8 2.0s. They aren't built for physical activity, and definitely aren't waterproof. A good option here would be the Bose Soundsport Free, which cost $199. They have a waterproof rating of IPX4, so are highly sweat-resistant – you won't be able to go for a swim with them, but they will easily stand up to a gym session. They sound good, if slightly more lifeless than the Beoplay E8 2.0s. But they fulfil a unique role, and as such, we think they are a good alternative if you're looking for something other than high end sound. 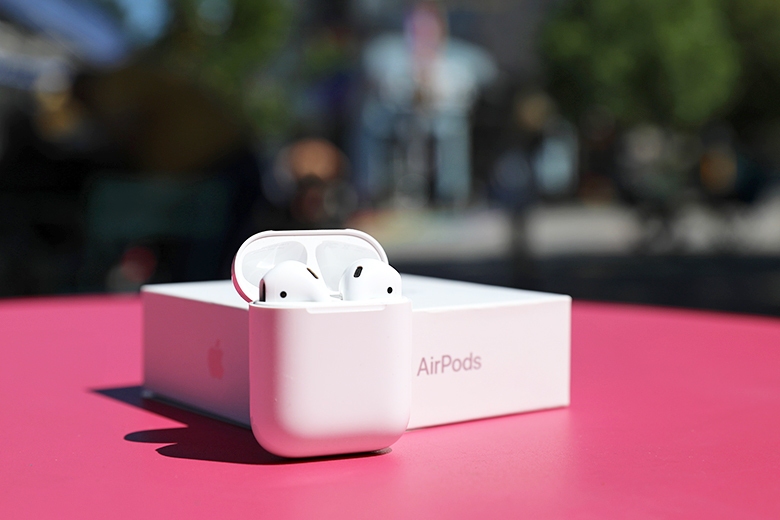 If you have an iPhone, and want to buy a pair of true wireless earbuds without sacrificing your wallet, then we recommend the Apple Airpods. 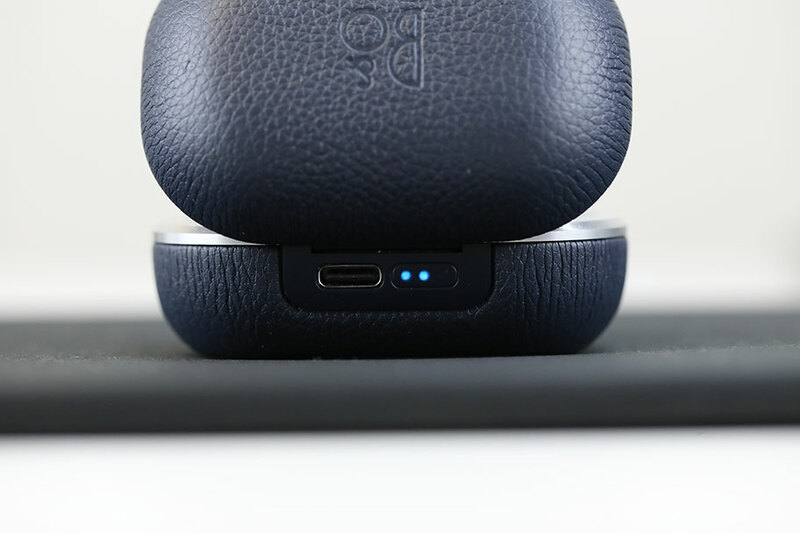 The new $199 version has wireless charging, like the Beoplay E8 2.0s, as well as Siri functionality and faster connection to your iOS device. It's a minor improvement on the original $159 version, which is both still available and an excellent option if you don't really care about wireless charging. Consider these a more friendly, everyday alternative to the Beoplay E8 2.0s; they are much less expensive, and the sound quality isn't nearly as good, but they offer great value. The AirPods are also significantly better in terms of call quality. While Bang & Olufsen have several headphone models available, the E8 line are their first true wireless version. Therefore, it's worth talking about the older Beoplay E8 – the original, now discontinued. You'll still find this model for sale, however, for around $145 on Amazon – less than half the cost of the Beoplay E8 2.0s. The differences are obvious: the charging case has a dated design, and you get roughly half the battery life. Ordinarily, we recommend buying the newer Beoplay E8 2.0s, which are superior in just about every way. But $145 is a very attractive price, and the original E8s still have a lot to offer. If you want to experience Bang & Olufsen, but don't want to shell out for the full deal, then the previous model is a great way to start.